You won’t be able to stop the crowds pointing to your child’s bottom when it’s covered with the divine style that is uniquely Oishi-m. It’s here that mod meets hip in a way that is sure to have passers-by demanding to know where you got his threads from. Oishi-m combine kimono, vintage and retro fabrics with dark denim and cotton to create the most funky urban styled pants I’ve seen in a long time. 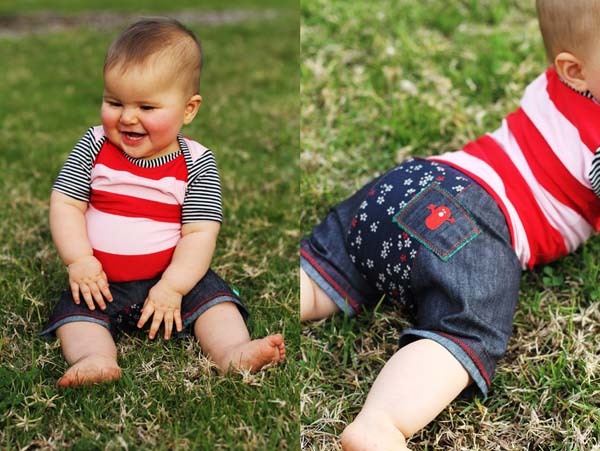 Babies come in so many sizes that they can be hard to fit but rest assured, Oishi-m has your gorgeous poppet covered. All pants and shorts are available in size 000 through to 2 and some tees even go up to a size 4. 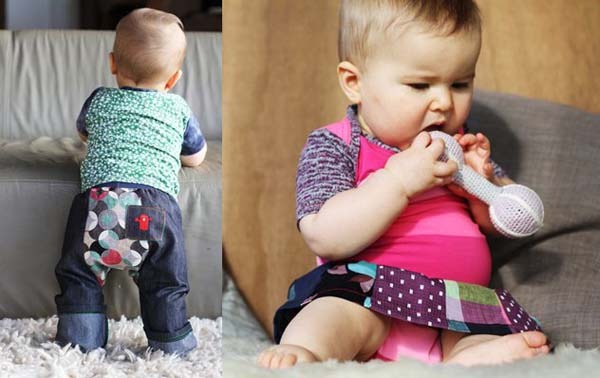 Oishi-m pants and shorts have the unique ‘tummy toastie‘ waistband ensuring tums are kept both covered and comfortable. There’s no drama in the seat department either as these pants are designed to cover nappies nicely, including cloth-covered bots. I’m a mum to two boys and while Oishi-m cater for both girls and boys, I’m loving what they have on offer for boys. If only my youngest was a baby again, I’d be sure to kit him out here. Shorts in all their varying styles are priced at $54.95 and short sleeved tees $32.95. To see more, race over to Oishi-m. To sweeten this sweet find further, postage is free in Australia!